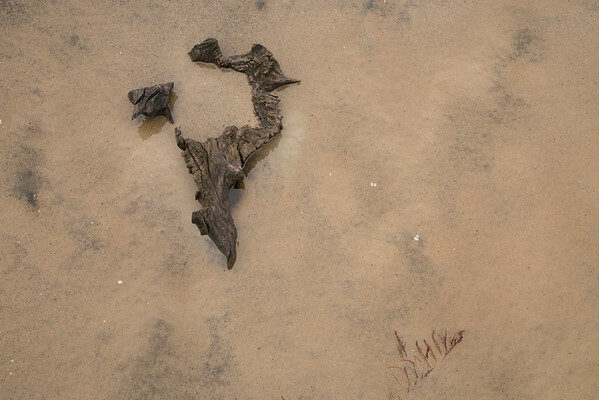 An almost decayed stump is accentuated by reflective wet dirty sand and a red sea bean. Alpha and omega. Big and small. Colorful and dull. For me a photo of contrasts.